Croft Tree Experts is Ottawa and the Valley's trusted tree care and removal experts, providing unmatched expertise in tree and stump removal, pruning, hedge trimming, tree mulching, and planting. We provide services from certified arborists for tree examinations for at risk or diseased trees, advising you on the best way to protect or care for your tree. Create Escape Calgary Landscaping plans, designs, and constructs the perfect landscape for your outdoor lifestyle. 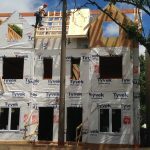 With a strong focus on customer relations, we are committed to providing our customers with the highest quality products while adhering to strict building practices. Transform your backyard into the oasis you’ve been dreaming of with the help of our Calgary landscaping contractors. From acreages ,to estates, to community developments no project is too big for our Calgary landscaping company. We excel in our attention to detail and experienced Calgary landscape design to bring you a space that will suit your needs and your budget. 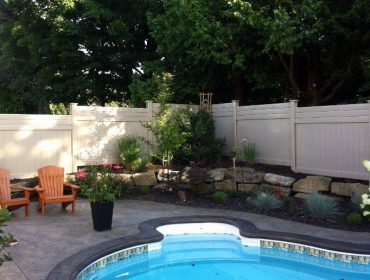 Bring the family together in your new backyard with one of the most trusted landscaping companies in Calgary. 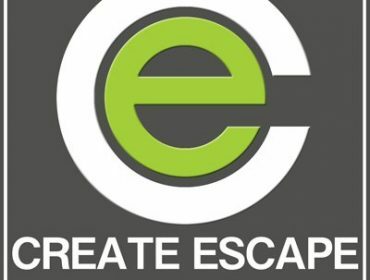 Create Escape Calgary Landscaping is licensed and bonded as a Prepaid Contractor with the Government of Alberta and the City of Calgary. We are also a proud member of the Better Business Bureau with an A+ rating, an active member with the Landscape Alberta LANTA and the Canadian National Landscape Association CNLA. Contact us today to create the outdoor space you’ve always wanted! Fitz's Fish Ponds aims to bring beauty and serenity to your backyard in the form of water features. 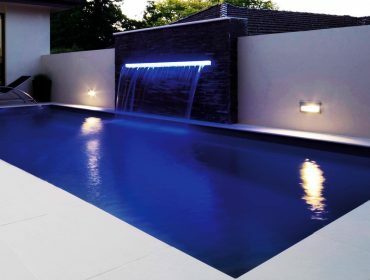 Ponds, waterfalls, pond-less waterfalls, water gardens, you name it we can do it. We are based out of central New Jersey (NJ), and service New York (NY), and Pennsylvania (PA) as well. 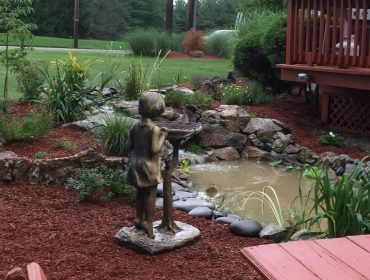 In addition to fish pond, koi pond, and classic pond construction services, we also provide pond maintenance, spring and fall cleaning, winterization, pond renovation, fall netting, and more. We even do water testing, service calls, and emergency calls when problems occur. From swimming pools to irrigation and water retention pools, if you need other waterscaping services, we specialize in those as well. 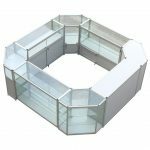 You can buy all of the pond supplies you need from our sister site. Contact us today for any of your pond or waterscape construction, service, and pond supply needs.  Essential Landscaping Ltd offers the finest Ontario winter grounds maintenance services. The team is always ready to provide for your landscaping needs despite the short notice and challenging weather conditions. The company is proud to have a team of highly skilled experts equipped with the right tools and equipment as well as years of experience for their Ontario winter grounds maintenance services. 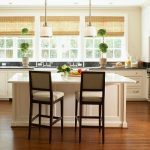 Their maintenance work means business owners and homeowners can maintain productivity throughout the winter. You can trust Essential Landscaping Ltd to work round the clock in keeping your property clear of ice and accessible with their Ontario winter grounds maintenance services. Contact them at 905-857-5296 or visit their website for more information. 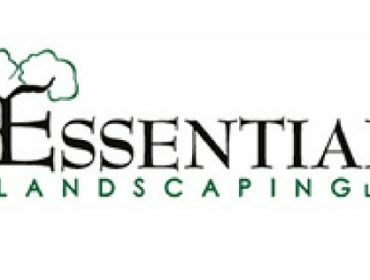 You may also visit their office located at Essential Landscaping Ltd, 19-1 Marconi Court, Bolton, Ontario L7E 1E2, Canada or email them at sales@essentiallandscaping.ca. Quality Contracting LLC is a concrete construction contractor serving the Denver Metro and Aurora, Colorado area. 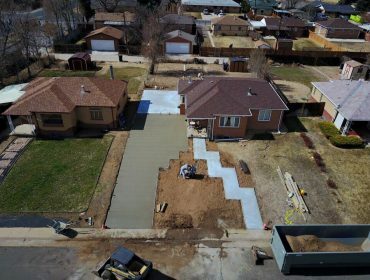 For over 20 years they have provided speciality concrete construction services to both residential and commercial clients throughout the Denver Metro. Residential Concrete services include: concrete driveway construction, concrete repairs, concrete sidewalks and walkways, concrete patios, concrete retaining walls, outdoor patio construction, stamped concrete, colored concrete, decorative concrete, foundation construction, concrete footings, and more. Commercial Concrete services include: parking lot construction, parks and playgrounds, stamped concrete patios, walkways and sidewalks, concrete barriers, concrete pool decks, concrete delivery, concrete mixer trucks, and more. 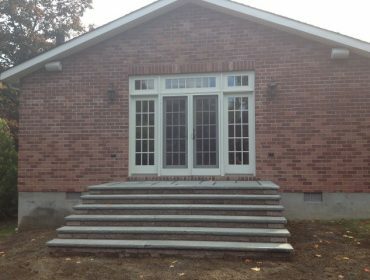 The name Quality Contracting LLC defines how we treat each and every project, our team of experienced concrete tradesman prides ourselves on the quality we bring to every project. We use high quality concrete, high quality materials, and we provide the highest quality of professional service. 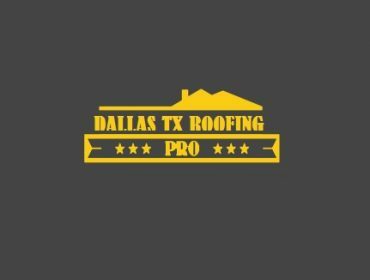 Dallas Tx Roofing Pro provides complete roofing services including free inspection, free damage assessment and quote. Dallas Roofing Company are leaders in providing rugged roofing services with latest designs keeping in mind the durability and external looks of the building. Our professional expertise is backed by more than 15 years of experience in the field that makes us the only reliable roofing company in the region. Now relax and handover all your roofing services to our professional and certified roofing experts specializing in residential and commercial roofing solutions. We offer easy finance and payment options which include card payments. We are a tree company that specializes in Ottawa Trees Removal, Shrubs and Hedges with over 25 years experience in Arboriculture. Call us at 613-291-3311 or email us at OTS@LIVE.CA for a visit from one of our ISA Certified Arborist. Let a professional company with the education & expertise work on your property today. Our estimates are FREE of charge. Christopher Meredith Landscaping is a landscaping company in Pomona, New York and we have been operating since 1991. Our specialty includes full lawn care, landscaping, poolscaping, wall installation and so much more. 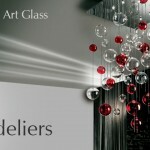 We follow the highest standard in the installation, repair and maintenance. Call us now and we will set an appointment with you. One of Calgary’s premier landscaping companies, we create an outdoor living space that fits you and your family perfectly. Infinity Gardens employ specialists for each of the jobs required in your residential landscaping project to make sure it lives up to the vision for your home. Choose us for your year round service, and we will take care of your snow removal and landscape maintenance, so you can focus on more important things. 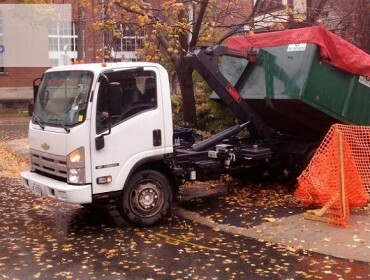 Our fall cleanup service will collect and remove all of your leaves on the ground as well as tidy up the edges of your flower beds and tree wells. Since 2011, GrassChopper Landscaping Ltd. has been a trusted provider of quality grounds maintenance and reliable snow removal services for Edmonton and area businesses and government agencies. Our highly trained and experienced staff offers landscape construction services that ranges from softscape and hardscape to green roofs, and LEED to erosion control. 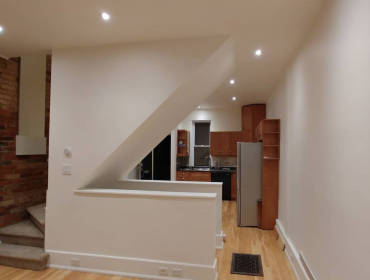 We believe in professional, reliable service that will make your property stand out. 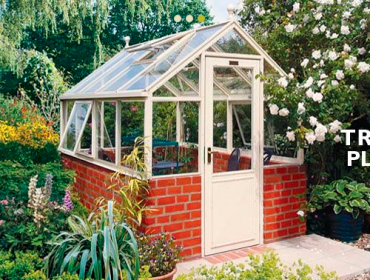 Hartley greenhouses offers free standing models with different widths and ridge heights to suit your individual requirements, plus all our greenhouses are endorsed by the RHS.